This Package contains twelve (12) - - 5"x 8" Calendar Sticker Sheets. You'll find everything you need. 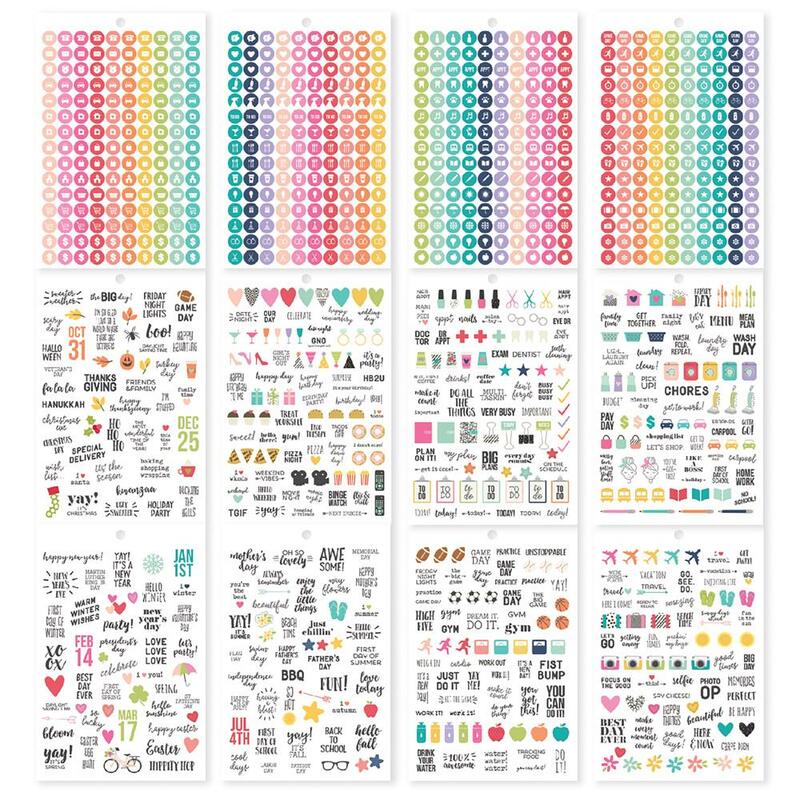 Use them for your Planners, making cards, notecards - Product by Simple Stories Carpe Diem Collection.